The beer has got a pinkish colour with a small head and medium body. Aroma of berries and beer. Taste of berries, red fruits and malt. Malty fruity finish. Bottled 275ml. -from Geant Albertville. Reddish/pink coloured, medium sized off-white head, berries in the nose. Acidic berries, light bready, strong carbonation but overall not so sweet as I’ve expected. Drinkable. I found this one actually okay for casual drinks outside, tough it doesn’t really apply in the "beer" category for me. If you’re in the mood for something "soda-like" with alcohol in it, it’s a good bet. APPROVED BY TAVERNY’S BLACK METAL CREW ! Can. Pours a slightly hazy pale red color with a small white head. Has a fruity sweetish berry aroma. Sweetish fruity berry flavor. Has a sweetish fruity berry finish. Can. A pink beer with a beige head. The aroma has notes of raspberries and malt. The flavor is sweet with notes of raspberries, and malt, leading to a dry finish. The body is light. [email protected] - Amber red pour with off white head. Berry fruity with some sweet fruity notes, light body, not bad. 50 cl. bottle. Reddish colour with a red head. Aroma and flavour of berries, fruit and sweet. 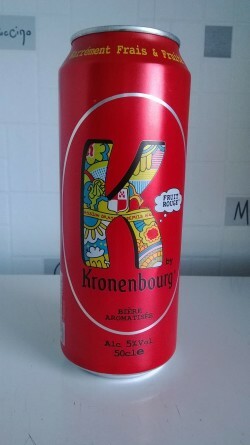 50 cL can. Pours clear and golden amber with a small pink head. Aroma is fruity. Berries. Sweet fruity, berries and lingering smooth fruity into the finish.